The Beats brand has become the most identifiable audio company around. 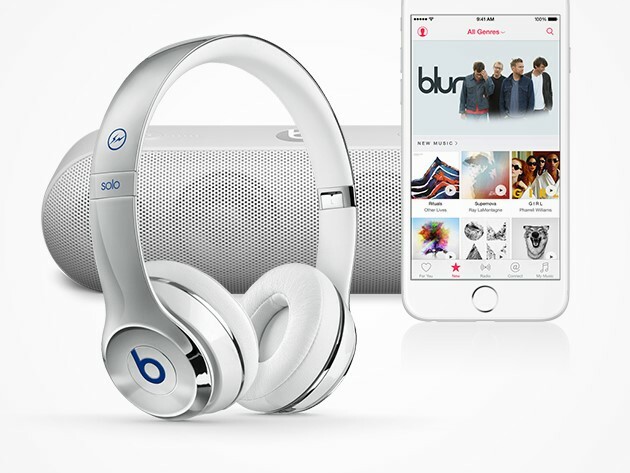 Now you can see why everyone loves the company Apple acquired with a triple-shot giveaway featuring a pair of Beats Solo2 Over Ear Headphones, the Beats Pill+ Bluetooth portable speaker and a 1-Year Subscription to Apple Music! While Dr. Dre probably won’t show up at your holiday party this year, when you enter to win the Apple Music & Beats By Dre Giveaway on TNW Deals, you can win the killer audio system you need to get a party started. The world-renowned Beats By Dre headphones look as good as they sound, delivering the superior high definition sound they’ve become famous for in recent years. The Beats Pill+ compact speaker produces amazing sound, giving you the ability to play your favorite jams as they were meant to be heard—and with no wires required thanks to bluetooth technology. The third part of our giveaway is a 1-Year Subscription to Apple Music, allowing you to stream a world of exclusive content in Apple’s ecosystem.